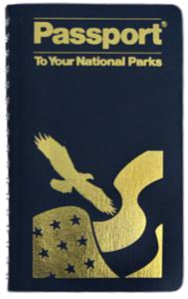 The Passport To Your National Parks was created to help visitors explore their National Parks, and has become a popular way for people to document their travels to all of America's Public Lands! More information, including purchasing a Passport can be found from Eastern National Parks Association or Alaska Geographic. The Iditarod National Historic Trail received their first stamp from the National Park Travelers Club in July 2014! Since then, the program has grown to include a total of 9 stamps at different locations along the trail. There is a list of all the National Trails in the back of every Park Passport, with additional space for cancellation stamps! Curious about the National Trails System? Learn more over at our partner, the Partnership for the National Trails System!